Love stories come in more dramatic varieties. But they’re never more true. The 45mm f2 Minolta MD lens was attached to an SR-T 100x I bought in a now-defunct thrift store in Munich. The X-700 followed from eBay soon after. It’s an early model, produced in the 80s when the X-700 was still an exciting and new camera. Automation for the masses. Fire trucks are coming up around the bend. Capitol Hill, Washington, D.C. (Ektar 100). My X-700 cost me less than 50 Euros in 2013, but it has been fixed, re-fixed and adjusted several times over the past five years for hundreds more. First, the condensers went. They always do in this model. I had them repaired. The camera came back still not working, so I sent it back to the repair shop. The camera came back fixed. 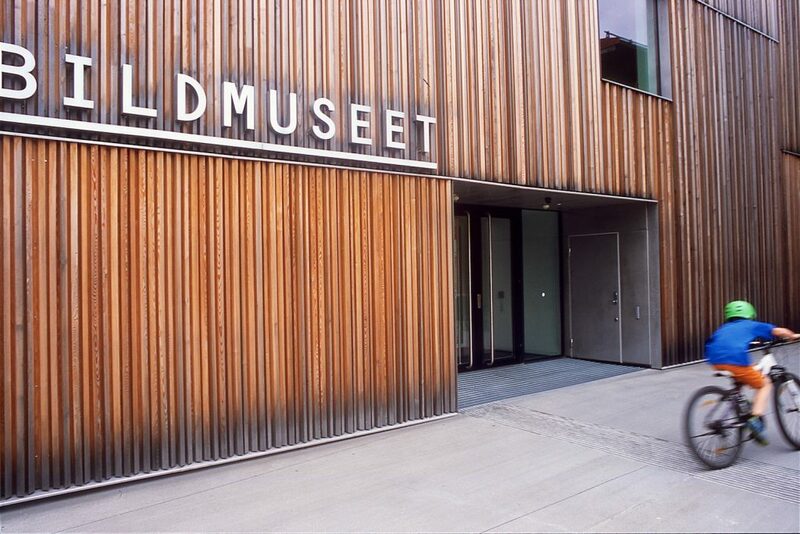 Blidmuseet, Umeå, Sweden. (Agfa Precisa 100 CT). Then, two years later, it started misbehaving again. The image counter broke. This was less than ideal since I was on vacation, and the X-700 was the only serious camera I had brought. I kept snapping away, never knowing how many photos I would still be able to take on any given roll. I wound the film too tight because of this, but the camera kept working. Most of the images I took with it over the years were with the 45/f2 MD lens. It has a less than stellar reputation, which I suspect is more down to sample variations between lenses than the overall design and quality. It is a small lens, but not a pancake. It still has some grip to it. There are no issues focusing. It is well made, late 70s, early 80s era metal-and-plastic. The metal is in the right spots. The plastic doesn’t annoy. In motion. 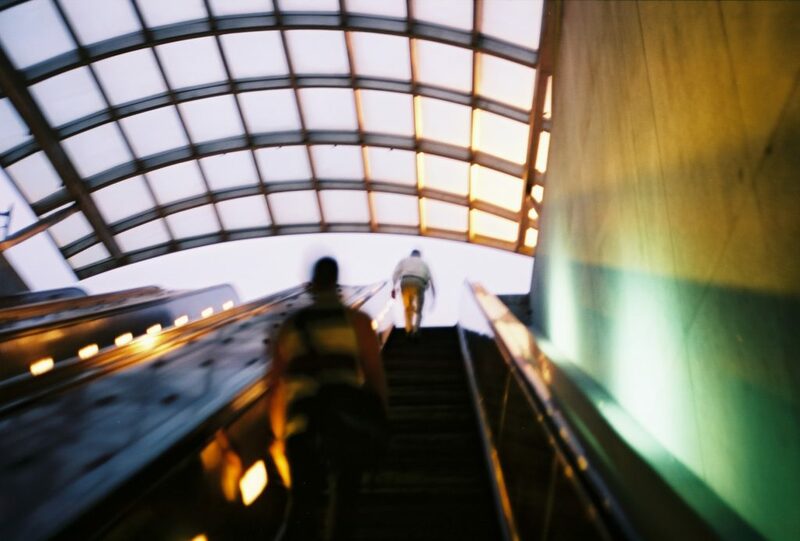 Emerging from Eastern Market Metro station, Washington, D.C. (Ektar 100). It’s a fine lens, albeit one with somewhat odd bokeh. Sometimes that’s a plus. Pictures won’t look like they would with other fast Minolta normal lenses. Sometimes it’s a minus: they don’t look like they do with other normal lenses. It’s not always what you want or expect. After the X-700 broke my heart by failing me in my time of need, I still loved it. I just didn’t trust it anymore. So it sat on a shelf most of the time. I used it with a multi-function back to count frames, but I remained unhappy about the kludgy solution. In the end, it was clear what I had to do. After almost two years I got around to it. I had the X-700 fixed again. I paid more money, trusting the seasoned repairman to make the camera as good as new. It now is. What I had never noticed is that the camera had not worked in program mode at all. It had not operated the aperture. That meant every picture taken in program mode was taken at f2. Some have a noticeable softness around the edges because of that. This, too, is now fixed. 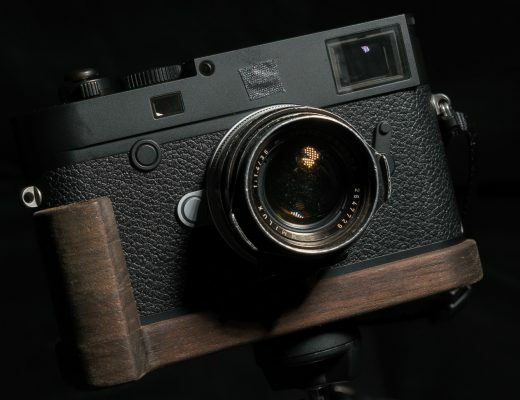 The camera is in better shape than it has been, possibly since it was produced. I am beginning to rebuild trust with it. Berries. And soft corners. (Agfa Precisa 100 CT). And a good thing that is, too. The X-700 and the 45/f2 together make for a full-featured manual focus SLR that is comfortably big for handling but is never so big as to be encumbering. The 45mm lens is that extra tad wider than a 50mm that I always seem to want. It lets you include in the picture exactly what you want. No more and no less; and no fuss. 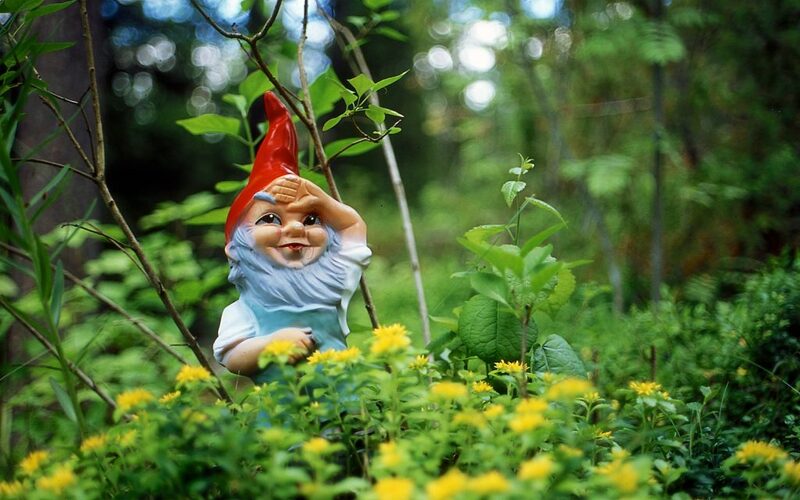 Wood gnome. The somewhat unruly bokeh in evidence. (Agfa Precisa 100 CT). Take it to the street, and you won’t raise a ruckus. Build it up with a motor drive and a tilting flash and you’ll look like you know what you’re doing. Add the program back for timed exposures, multiple exposures, interval exposures, what have you. It’s a versatile combination. Both lens and camera have been with me almost since I first rediscovered film photography in late 2013. The things this camera has seen have been moments of my life. Defining ones, small ones, unimportant ones, fun ones. All moments worth saving. Moments that matter. That, perhaps, is why I keep coming back to the Minolta X-700 and the 45/f2 MD lens: the pictures tell stories, yes. But the camera that made them tells a story, too. A love story. Ending still uncertain. For someone who never intended to pursue an academic lifestyle, I’ve lasted remarkably long doing that. Unprofessional photographer. Reads and writes by day. Blogs at ictusoculi.com. Posts pictures here. Thanks for sharing! 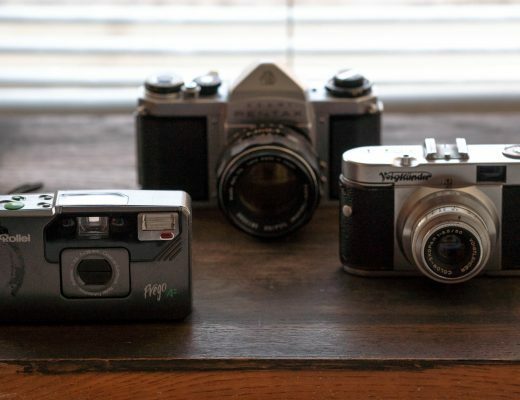 Great images… my X-570 is calling my name but I’ve been in an obsessive Nikon F100 mode as of late. That 45mm really sings… I have the MD 50 1.4 and MC 58 1.4. Both are so much fun. Scott, thanks! I have all of these lenses as well, and they’re great. None as versatile as the little 45 though. Don’t have an X-570 myself but may have to get one to see why it’s so beloved – I mostly use A-mode on the X-700 so haven‘t run into its metering display limitation so much. And one of these days I‘ll need to join the F100 club as well. Heading out to Berlin with my trusty F801S today. The X-700 was my field camera through out the 80’s and 90’s when I was a geologist working in the field. I’ve had some disappointment with the XD-11’s reliability, which sent me running back to my X-700’s. 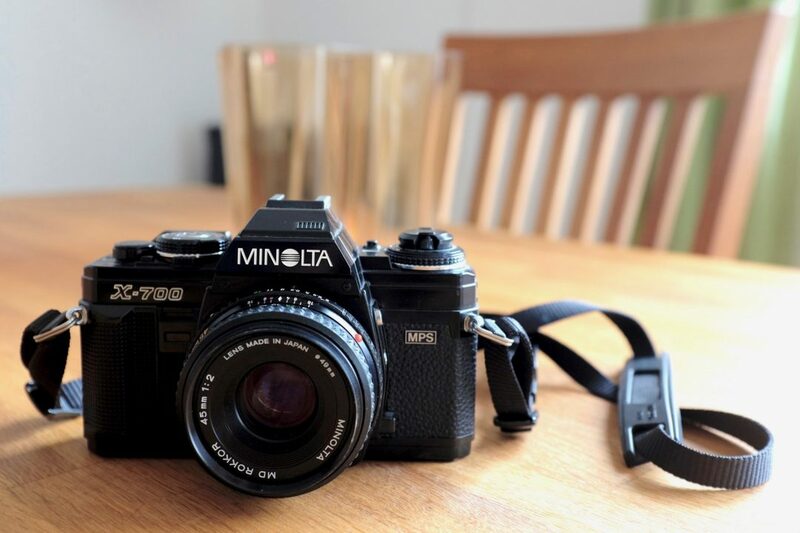 Minolta cameras and lenses were grossly underappreciated. Thanks for loving my favorite 35 mm camera too! It’s like your camera was stuck in dream-mode. I like your images from dream mode, at least the ones you posted here. They have a beautiful feeling of hurried snaps and softness that is cool. That gives me an idea to just shoot a full roll at 2.8 and see what comes of it. I suppose that’s what the holga kind of does, I can’t remember what it’s fixed at. But either way I enjoy reading your blog and have so for some time. Keep em coming. Good article Torsten – nice honesty, as I have never heard anyone before call themselves an unprofessional photographer. That gave me a wry smile. 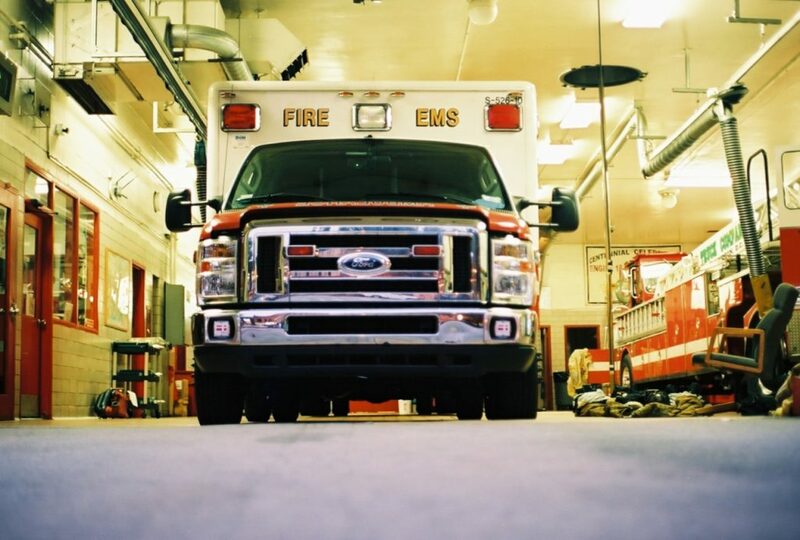 Really like the fire engine, berries and garden gnome pictures. Thanks so much, Paul! I may be a professional in many ways, but not in terms of photography. Maybe that’s a “yet.” Looking at this again I realize how many of my favorite pictures were taken with this camera/lens combination. I will make a point to try and take it out more often. to had some reputation came from Minolta……(Leica CL too by the way) ! I love the Minolta-Leica connection. Would love to try out/own a CLE with its lens set, that to me covers everything I typically shoot. But you can’t beat the X-700 in terms of price/performance. I never used the modern Dynaxes, but I love my original 7000. If it had a stop-down button it would be pretty much perfect. Expect another write-up once I have enough money to blow on getting my pair of XE-7/5s fixed. That’s the Leica DNA in full! I share a love of the x-700 and 45mm. The x-700 is such a great mix of electronics in a manual SLR, and looks great. The viewfinder is excellent. Regarding the 45mm, i also don’t ubderstand why this is not a more widely loved lens. Minolta had some of the best lenses out there for their price point. Great article. Well to hit the right exposure even the professionals use bracketing right ? of technic for lell then you pay for old mechanical cameras ! was a dream to use ! I’m fond of a number of Minolta lenses, notably the 55/1.8 for portraits on cropped digital cameras, and the 35-70/3.5 and 50-135 zooms. Now I think I may have to look out for that 45/2 as well. It’d be an interesting lens to contrast with the Pentax 43/1.9 which is sharp as a razor but cam have (unusually for Pentax) rather hard-edged bokeh. I like what your pictures suggeat ia the Minolta 45’s ‘gentleness’. 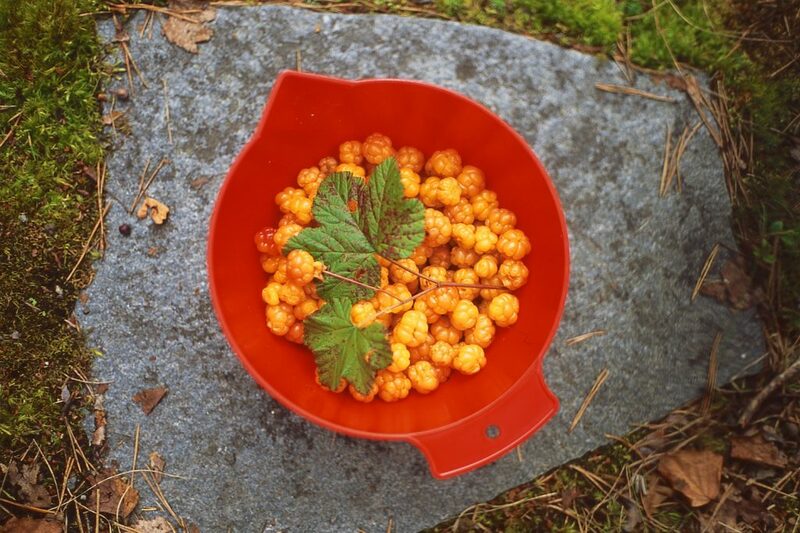 That bowl of cloudberries is a gorgeoua picture – and it’s making me hungry! Beautiful images! I wanted to ask how were these scanned? By yourself or at a lab? The first and third were done by a small lab in Washington, DC when I lived there. The other two I did on an Epson V600 on EpsonScan in “Professional” mode.